WASHINGTON — The abortion and contraception giant Planned Parenthood has released its annual report, which shows that while the number of abortions it performed last year are the lowest in a decade, still over 321,000 babies were murdered in their mother’s womb during the 2016-2017 fiscal year. “As we enter our 101st year, providing access to expert health care and education remains at the center of what we do. We continue to drive innovations in health care delivery by leveraging new technology to get patients the care and information they need to live healthy lives and build the futures they want,” the organization wrote in its report, which outlines the services provided over the past year, most centering on sexual activity. Planned Parenthood reported 321,384 abortions for the year, down from the 328,348 performed abortions during the 2015-2016 fiscal year—or 6,964 fewer murdered children. However, the number still equates to over 800 abortions a day. While some might assume that the number of abortions decreased due to the provision of contraception, the figures show that the distribution of birth control continues to decline at Planned Parenthood with each passing year. Over 2.7 million people were provided with contraceptives in the 2016-2017 fiscal year—from temporary to permanent, including over 730 thousand emergency contraception kits. The figure is one million less than what was reported five years ago, as 3.7 million contraceptives were provided in 2012. 3.5 million were distributed in 2013, 2.9 million in 2014, and 2.8 million in 2015. The number of Americans receiving testing for sexually transmitted diseases (STD’s), however, increased. Over 4.4 million people were tested or treated for an STD, up from 4.2 million the year prior. Over 222,000 were found to have a sexual disease, up from 209,900 in the 2015-2016 fiscal year. 706,903 patients were tested for HIV, up from 654,218 the year prior. 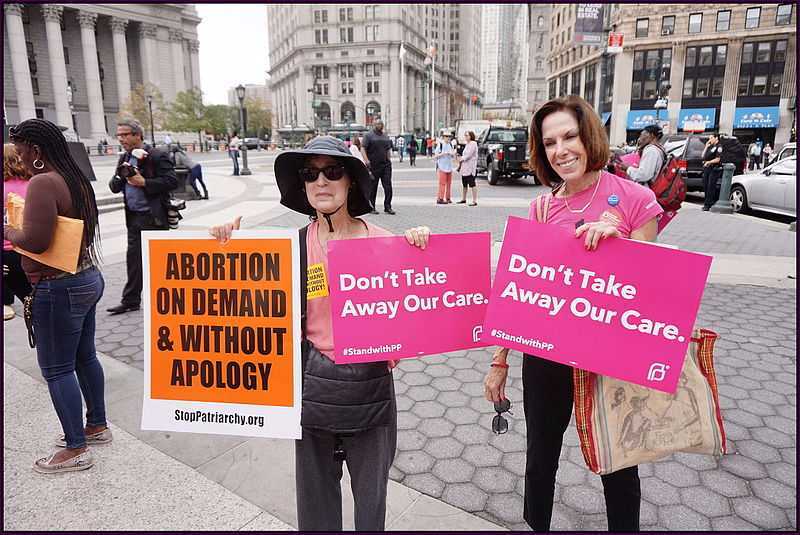 Only 7,762 women obtained prenatal care during the 2016-2017 fiscal year as many Planned Parenthood locations do not offer the service, down from 9,419 the previous year. Just 1,182 mothers obtained miscarriage care, as opposed to the 2,073 who were served in 2015. 3,389 adoption referrals were provided compared to the 321,384 abortions performed. Government funding was the largest source of revenue for the organization, as it received over $543 million in the year alone, down slightly from $554 million in 2015-2016. $532 million came from private contributions and grants. With all the sources of income combined, Planned Parenthood generated over $1.45 billion in revenue throughout the fiscal year. And despite its expenditures, which included $75 million to “strengthen and secure Planned Parenthood,” $47 million for sexual education, and $40 million on public policy, the abortion giant still garnered a $98.5 million dollar profit, labeled as “excess of revenue,” up from $77 million the year prior and $58 million in 2014.